Topshop Pants first appeared on Chictopia's streetstyle gallery in Fall 2008 seen on Paris blogger TheBlackFeather of the-black-feather.com. 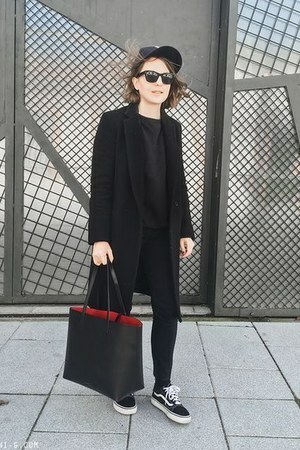 She styled her black Topshop black faux leather trousers pants with a gray Primark grey cardigan coat, black found at Porto Bello Market oversized bag bag, and black Primark black peep toe boots shoes. 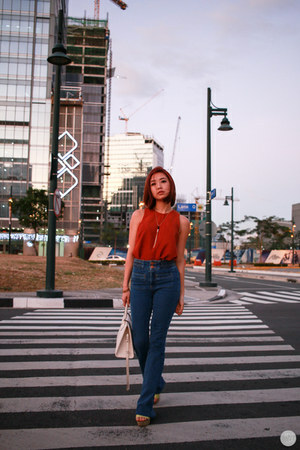 Since then, Topshop Pants have grown in popularity as bloggers from London, Manila, and Barcelona have discovered them. Topshop Pants are generally seen in chic, casual, and comfortable style. Popular types of Topshop Pants are high waisted, tapered, leather look, harem, and faux leather. Blogger's favorite colors are black, blue, navy, and heather gray. 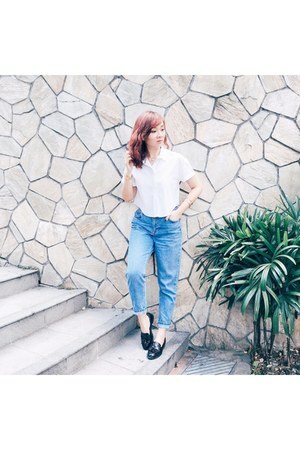 There are currently 1510 streetstyle photos of bloggers wearing Topshop Pants. Most recently, blogger PamHetlinger of thegirlfrompanama.com styled her black Topshop faux leather pants with a white Forever 21 worn as a top dress and white Mango white vest. Such an amazing peace that every stylish girl should have!